If you’re looking for a relaxing and luxurious holiday stay with family or a group of friends, Element Escapes is a wonderful luxury boutique apartment to consider. 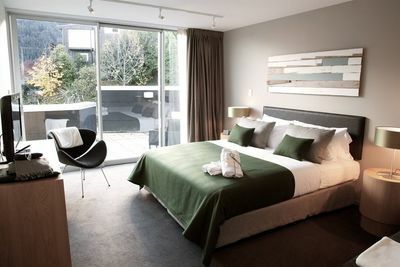 The self-serviced holiday apartments offer flexible and private accommodation in beautiful locations across Queenstown. Element Escapes’ 3 property locations are situated to provide guests with a variety of accommodation options. All of Element Escapes’ 37 individually decorated guestrooms are equipped with free Wifi, in suite bathrooms, and eco-friendly bathroom amenities. The three Element Escapes properties include, Marina, Kent Street, and Panorama Terrace. Each property offers different views and room options to suit varying accommodation needs. 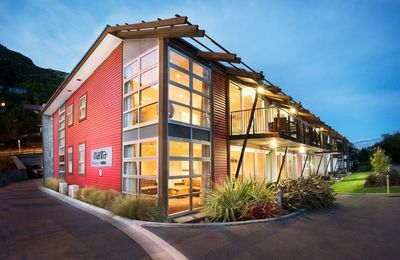 Element Escapes’ Marina is located right outside of Queenstown, on the shores of Lake Wakatipu. The Marina is a mere 10 minute drive from the airport, in close proximity to water, grocery stores, cafes and restaurants. Bus stops are located directly outside of the apartments, allowing guests to conveniently tour the town. Guests have the choice of 3 bedroom, 2 bedroom and studio apartments, each with the option of lake or mountain views. The 3 and 2 bedroom apartments includes an open-concept-dining and living room, fully equipped with a dishwasher, gas hob, electric oven, microwave, fridge, toaster, kettle, crockery and cutlery. 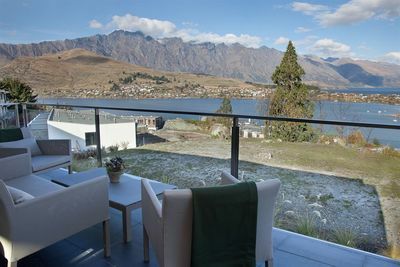 The Kent Street apartments are situated above Queenstown Centre, with stunning lake and mountain views. Only a few steps from Queenstown Hill Recreation Reserve, and a 15 minute drive from Queenstown Airport, Kent Street is centrally located to Queenstown. Guests have the choice between two buildings; Building A with mountain and lake views, and Building B with mountain views. All rooms in both buildings provides the self-serviced opportunity to cook in the room’s full modern kitchens. Guests can relax by the gas fireplace or take a dip in the Kent Street complex Spa pool. 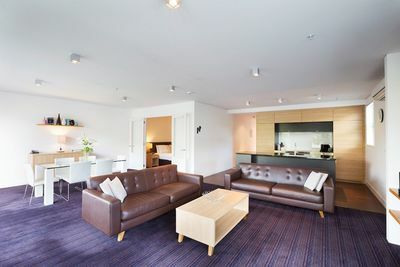 Element Escapes’ Panorama Terrace complex is located right above Queenstown centre, giving it amazing views of Lake Wakatipu and Remarkables Mountain Range. The complex offers 2 bedroom apartments and 3 two and half bedroom apartments. Guests can enjoy the local ski slopes at Coronet Ski Field and Remarkables Ski Field, which are only a 15 minute drive from the apartments. Panorama Terrace’s lower and upper level, and front apartments all come with a full kitchen, washing machine and dryer, and LCD/plasma TVs. Guests of the 2 bedroom apartments can also enjoy the breathtaking mountain and lake views from their balconies. 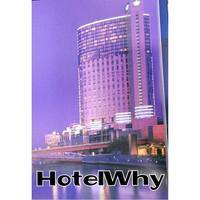 Element Escapes provides a variety of accommodation stays that’ll suit all types of needs. The apartment complex also offers helpful tour and ticket assistance for activities outside of the apartment facilities. Do note that each of Element Escapes’ property and rooms have varying maximum occupancy so make sure to have that in mind when booking.